The pension sharing provisions of the Welfare Reform and Pensions Act 1999 (WRPA) will apply to divorce or nullity after 1 December 2000 and will allow the retirement benefits of either spouse to be split between the parties as a legally enforceable settlement. Before 1 December 2000 the only solution for all retirement benefits in pension arrangements on divorce or nullity was by offsetting against other matrimonial assets in the settlement or by an earmarking order. From 1 December 2000 pension sharing will be allowable for occupational pension schemes, personal pension, stakeholder and the state earnings related pension scheme (SERPS). However pension sharing will not be allowable for the State basic pension. The accrual rate is the rate at which future benefits in a defined benefit final salary pension will accumulate, based on a formula linked to the scheme members pensionable earnings. This formula is usually expressed as a fraction of final salary, such as 1/60th or 1/80th and the pension benefits at retirement age will increase as the length of service increases. The Inland Revenue maximum retirement benefits are two thirds of final salary. This means that for an accrual rate of 1/60th the member will have to work for 40 years to reach the maximum and from this there is the possibility for commutation to a tax free lump sum. For a public service scheme the accrual rate is 1/80th but the member can only work for 40 years giving a maximum pension income of half final salary. However, the member will receive a tax free lump sum in addition to the income. Where an individual or elderly relative is admitted to a residential care or nursing care home, one option to cap the cost of long term care is an immediate needs annuity.  In the case of pensions on divorce, to ensure that pension debits and pension credits are calculated in accordance with the pension sharing legislation. From the 6 April 2001 the rules for GN11 changed removing the discretion of the actuary to a prescribed formula. It assumes a heavier mortality than before (this means it assumes a shorter life expectancy), a high annuity rate of 8.5% and a revaluation rate of 5.0% up to retirement age. The effect of these changes are to reduce the fund value that can be transferred relative to a pre 6 April 2001 calculation. The GN11 test will apply where the scheme member is over 45 and has been a higher rate taxpayer and exceeded the earnings cap during the 6 years prior to the pension transfer and where the the scheme member has been a controlling director in the 10 years prior to the pension transfer. As an adviser on financial matters an actuary is a member of a profession involved in the evaluation of risk and the probabilities related to mortality. In the UK an actuary will include the Fellows of the Institute of Actuaries and the Facility of Actuaries. An actuary can advise on the solvency of a life assurance company and a pension fund. For a pension fund there is a statutory duty under section 47 of the Pensions Act 1995 for the scheme trustees to appoint an actuary to advise on the funding of an employers pension scheme, such as a defined benefit final salary pension, in order to meet the requirements of minimum funding requirement. In terms of pension and divorce where an adjustment to the cash equivalent transfer value (CETV) is being sought to value the pension arrangements, usually in association with pension sharing, the Civil Procedure Rules 1998 will not allow expert evidence from an actuary whether this is written or oral, unless the court has given permission to present such evidence. Actuarial evidence must be reasonably required and justified and will depend on the complexity of the pensions involved and the need for accurate projections for the retirement benefits. In these cases projections by the provider or a pensions consultant would be acceptable as expert evidence although the pensions expert should have a relevant qualification such G60 Pensions or equivalent. It is likely that a qualified expert would be a member of the Society of Pension Consultants (SPC). Members of a final salary scheme that will not complete 40 years service by their normal retirement age may be eligible to purchase additional years thereby enhancing benefits by paying extra contributions to make up some or all of the shortfall. This will apply to pensionable earnings and depending on the scheme rules, may exclude other taxable income and benefits in kind. To make up any shortfall on other taxable income and benefits in kind, the member would have to make contributions to an additional voluntary contributions (AVC) pension. A scheme member can make an extra payment to a pension through an additional voluntary contribution (AVC) schemes. For many occupational pension schemes an AVC is a separate pension operated by a defined contribution scheme on a money purchase basis where a pension income at retirement is paid in addition to the main scheme benefits. Since A-Day, the Pension Simplification rules introduced from 6 April 2006 allow a tax free lump sum of 25% to be taken from an AVC or FSAVC. Previous to A-Day, there was no possibility for commutation to a tax free lump sum with an AVC and the whole of the fund value must purchase a compulsory purchase annuity providing a pension income at retirement age. Since 6 April 2006 the Inland Revenue maximum contributions to occupational pension have changed. The rules allow an employee to contribute either £3,600 per annum or 100% of their their earnings in order to benefit from tax relief at their marginal rate. The maximum Annual Allowance will increase in each subsequent year from the 2006/07 tax year of £215,000. Previous to A-Day the maximum contribution was limited to 15.0% of taxable earnings. If the scheme member exceeds the Inland Revenue limit of £215,000 for the 2006/07 tax year, there will be an annual allowance charge applied of 40% under self-assessment on any excess contribution. The income from an AVC is based on the contributions made by the member, investment return and the pension fund value must be used to buy pension annuities at retirement. When making an annuity purchase the individual has the option to search for the highest annuity rates using an open market option, however, learn more about annuities, compare annuity rates and before making a decision at retirement, secure a personalised annuity quote offering guaranteed rates. Under the Welfare Reform and Pensions Act 1999 (WRPA 99) the cash equivalent transfer value (CETV) is the prescribed method for the calculation of the members pension rights on divorce. The CETV from the provider will be sufficient for a money purchase scheme such as a personal pension or stakeholder pensions as these arrangements have accrued a tangible pension fund value over time. However, where the pension arrangement is more complex such as a defined benefit scheme, no fund value exists for the member. Instead retirement benefits are based on an actuarial calculation including the scheme members years of service and final salary. The CETV will make assumptions of the value of these benefits in today's terms as well as assume the member will leave service at the time of divorce. This is rarely the case so an incorrect and undervalued projection for the retirement benefits is produced. A pension audit can determine a fair value for these pension arrangements using the cash equivalent transfer value from the provider as the basis of the valuation. By using methods such as past service reserve and the fund value approach plus other benefits not included in the CETV, it is possible to produce a suitably adjusted CETV that reflects the circumstances and specific needs of the parties on divorce. A pensions consultant should conduct this audit and be a pensions expert with a recognised qualification such as G60 Pensions or equivalent. It is likely that a qualified expert would be a member of the Society of Pension Consultants (SPC). The parties should also have sufficient confidence that the pensions expert is knowledgeable in the area of pensions on divorce. For an individual at retirement that chooses annuities to pay an income, the premium frequency can be paid in advance or in arrears. This applies to a With Profits annuity, pension annuity (or compulsory purchase annuity) or where there is a lump sum only, a purchase life annuity. For example, if the annuitant takes a quarterly income this can be paid at the beginning of the period, in advanced, or at the end of the period, in arrears. If a male aged 65 decides to take his monthly annuity in advance, this reduces the income by 0.6% or female aged 65 this reduces the income by 0.8% for the rest of their lives. This no longer exists as a pension vehicle and was replaced with pension drawdown from 6 April 2011. At the age of 75, an individual with an income drawdown plan must either purchase a pension annuity or transfer to an alternatively secured pension (ASP). This would allow the member withdrawal of income, similar to income drawdown. Alternatively secured pensions have been introduced in particular to assist those individuals with religious beliefs that prevent them from purchasing an annuity on ethical grounds. From 6 April 2007 new rules introduced for ASPs apply a minimum income requirement of 65% and a maximum of 90% of GAD annuity tables. Any payments that fail to comply with these limits will incur a 40% tax charge on the difference between the minimum income limit and the amount of income withdrawal paid during that year. The reason for these changes were due to the Government's awareness of ASPs being used by those intending to avoid being forced to purchase annuities at age 75. Since being introduced from A-Day with a minimum of 0% and a low maximum withdrawal of 70% of the Government Actuaries Department annuity tables, it has not deterred those with no religious objection to purchasing pension annuities from using an ASP for capital accumulation or succession purposes. Where funds remain on the death of the member, in contrast to income drawdown, an ASP must first provide for any financial dependants. Thereafter any surplus can be passed to a charity as an authorised payment and free from any tax charge. Any surplus where there are no nominated charities or financial dependants is an unauthorised payment and subject to a tax charge of up to 70% and becomes the top part of the member's estate for Inheritance Tax (IHT).  The ancillary relief proceedings that are concerned with resolving matrimonial assets and financial matters between the parties. The matrimonial assets and financial matters will include the family home, the personal savings and investments of each partner, the partners joint savings and investments, contents of the family home, all other personal and joint assets as well as any pension arrangements. The principles are set out in section 25 of the Matrimonial Causes Act 1973 (MCA 1973) and include any pension arrangements. The couple on divorce will have to make an application for a financial order from the court to resolve ancillary relief matters. The process may involve a first appointment, financial dispute resolution (FDR) appointment and a final hearing. A court could make an order such as an earmarking order or pension sharing order against the members pension rights although the latter cannot be made before the granting of the decree nisi. Ancillary relief proceedings as the step-by-step guide shows, can often take a much longer time to resolve than the divorce and a final agreement of the matrimonial assets and financial matters may not be reached until a long time after the granting of the decree absolute. The annual allowance has been initially set at £215,000 and this figure will rise regularly as shown below until 2010 when the figure will be £255,000 for payments to a defined contribution scheme or as accrued benefits within a defined benefit scheme. The limit will not apply in the actual year of retirement. The limit for contributions based on fractions of capped earnings has been replaced to allow individuals to make unlimited contributions. However, tax relief on the contributions is to be limited to the higher of 100% of relevant earnings or where tax relief is given at source, limited to £3,600. Where funding exceeds the annual allowance an annual allowance charge of 40% is levied on the excess in contributions. The pension fund must still be used to buy pension annuities at retirement. 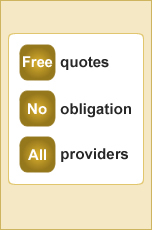 When making an annuity purchase the individual has the option to search for the highest annuity rates using an open market option, however, learn more about annuities, compare annuity rates and before making a decision at retirement, secure a personalised annuity quote offering guaranteed rates.